​from my fruitarian friend Ted Carr who made this video for me. ​2 + / - cups coconut water. Medium mature coco meat from 2 coconut. 2 capsule of probiotic. See the picture below. Pour it into a bowl and cover the bowl. Let sit out on the counter at room temperature for 14 - 18 hours. Put in the fridge after that. ​Traditional yogurt, made with cow's milk, is off-limits to those with milk allergies or lactose intolerance. ​Coconut yogurt is a healthy alternative that's made with coconut milk instead. In addition to being dairy free, coconut yogurt also supplies several key vitamins and minerals and can have live and active cultures just like milk-based yogurts. Calories and Fat A 6-ounce serving of unsweetened coconut yogurt contains 75 calories and 6 grams of fat, of which about 5 are saturated. Flavored coconut yogurts contain more calories and fat. For example, 6 ounces of the chocolate flavor contains 170 calories and 7 grams of fat, of which 5 are saturated, while the mango flavor has 130 calories and 6 grams of saturated fat. ​Much of the saturated fat in coconut yogurt is in the form of medium-chain triglycerides, which can help control weight, reduce the risk of atherosclerosis and boost immunity, according to a 2013 article in "Nutrition Review." Six ounces of unsweetened coconut yogurt has 6 grams of fiber, which is 24 percent of the 25 grams women need each day and 16 percent of the 38 grams men require. The other variety has 3 grams of fiber and mango has 2 grams. Some types of Greek coconut yogurt, which is strained to make it thicker and creamier than regular yogurt, contain more fiber with 8 grams per 6-ounce serving. Fiber promotes normal digestion and can cut the risk of constipation. 3.5 percent of the 56 grams men require. Unsweetened coconut yogurt doesn't contain added sugar, and the amount in flavored coconut yogurt can vary. A 6-ounce serving of chocolate coconut yogurt has 23 grams of sugar, and the same amount of strawberry has 18 grams. Keeping your sugar intake low is one way to prevent unhealthy weight gain and reduce your risk for diseases, including type 2 diabetes and heart disease. Coconut yogurt is low in sodium, with the exception of Greek varieties, which can contain as much as 140 milligrams of sodium per 6-ounce serving. That's about 9 percent of the 1,500 milligrams the American Heart Association recommends as a daily upper limit. Coconut yogurt is a good source of bone-building calcium with between 25 and 30 percent of the daily value in each 6-ounce serving. You'll also get between 25 and 30 percent of the daily value for magnesium, a mineral essential for muscle function. A serving of coconut yogurt supplies between 25 and 30 percent of the daily value for vitamin B-12, crucial for red blood cell production, and vitamin D, vital for calcium absorption. There are actually 10 times more probiotics in your gut then cells in your body! Your skin and digestive system by themselves host about 2,000 different types of bacteria. ​Probiotic benefits have been proven effective in supporting immune function and healthy digestion, as well as beautiful skin. Probiotics have been in our systems right from the moment that we stepped into the world. ​When a newborn is in the birth canal of the mother during delivery, that’s when the baby is exposed to the bacteria of his or her mother for the first time. This event starts a chain of events inside the baby’s GI tract, and the infant’s GI tract starts to produce good bacteria. and conventional foods such as non-organic meat and dairy that contain antibiotic residues. In order to improve your gut flora balance, make sure to avoid the probiotic killers. We are exposed to many of these foods, toxins and stressors on a daily basis, and if you’re going to restore your digestive health, they must be addressed. If they’re not addressed, your gut micro-organisms become imbalanced and your system can become a breeding ground for bad bacteria, yeast, viruses, fungi and parasites. ​The typically human brain weights about 3 pounds, and a healthy human body will have over 3.5 pounds of probiotic bacteria and organisms (according to Casey Adams Ph.D.
Than Cells In Our BodyIn a healthy person, there are more than 100-300 Trillion probiotic bacteria and yeast, compared to only 10 trillion cells in our body. ​According to Mary Ellen Sanders, if the bacteria in our body were laid end to end, they would encircle the globe 2.5 times. ​Are you getting enough probiotic-rich foods in your diet? Chances are you’re probably not. Probiotics are essential for your digestive health, which most people already know. ​Sound good? 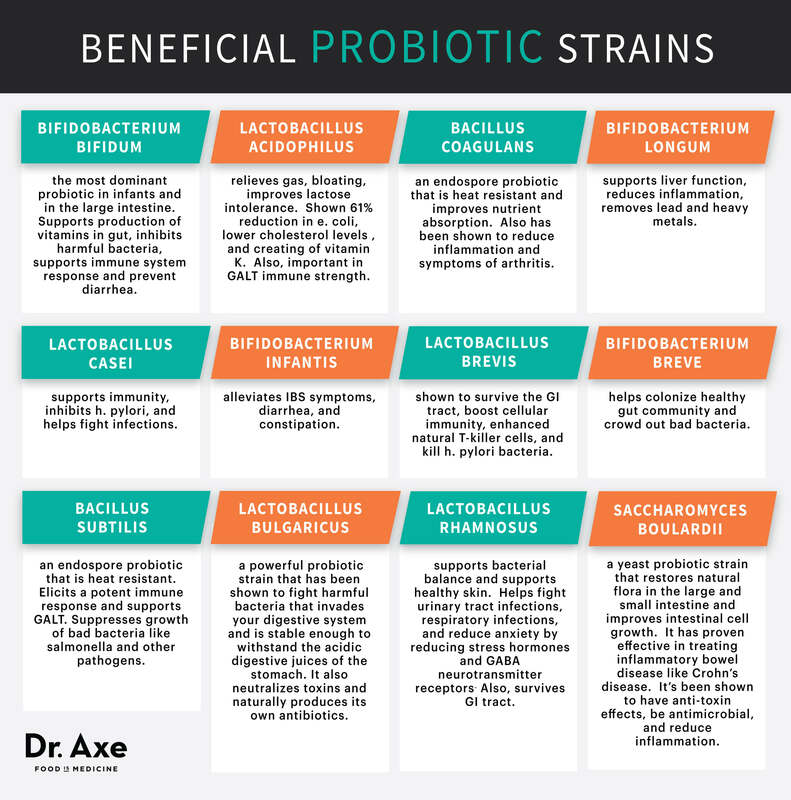 If you want all of these benefits, then it’s time to start consuming these probiotic foods for better health. – Similar to yogurt, this fermented dairy product is a unique combination of milk and fermented kefir grains. Kefir has been consumed for well over 3000 years and the term kefir was started in Russia and Turkey and means “feeling good”. It has a slightly acidic and tart flavor and contains anywhere from 10 to 34 strains of probiotics. Kefir is similar to yogurt, but because it is fermented with yeast and more bacteria the final product is higher in probiotics. (Sauerkraut and Kimchi) – Made from fermented cabbage and other vegetables, sauerkraut is not diverse in probiotics, but is high in organic acids (what gives food its sour taste) which support the growth of good bacteria. Sauerkraut is extremely popular in Germany today. Kimchi is a cousin to sauerkraut and is the Korean take on cultured veggies. Both of the fermented formulas are also high in enzymes, which can aid digestion. – Is an effervescent fermentation of black tea that is started by using a SCOBY also known as a symbiotic colony of bacteria and yeast. Kombucha has been around for over 2,000 years originating around Japan. Many claims have been made about kombucha, but its primarily health benefits include digestive support, increased energy and liver detoxification. 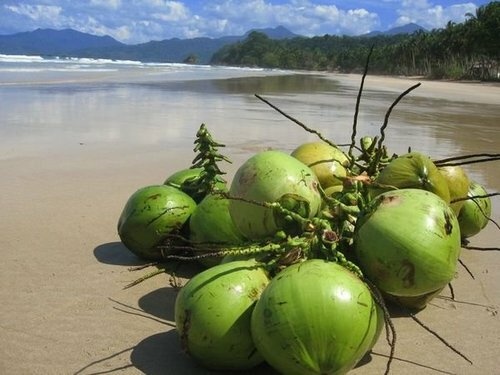 – Made by fermenting the juice of young coconuts with kefir grains. This dairy-free option for kefir has some of the same probiotics as traditional dairy kefir but is typically not as high in probiotics. Still, it has several strains that are great for your health. Coconut kefir has a great flavor, and you can add a bit of stevia, water and lime juice to it and make a great-tasting drink. – A popular dish in Japan consisting of fermented soybeans. Natto contains the extremely powerful probiotic bacillus subtilis, which has been proven to bolster your immune system, support cardiovascular health and enhance digestion of vitamin K2. Also, Natto contains a powerful anti-inflammatory enzyme called nattokinase that has been proven to fight cancer. – Possibly the most popular probiotic food is live cultured yogurt or greek yogurt made from the milk of cows, goats, or sheep. Yogurt in most cases can rank at the top of probiotic foods if it comes from raw grass-fed animals. The problem is there is a large variation on the quality of yogurts on the market today. It is recommend when buying yogurt to look for 3 things. First, that it comes from goat’s or sheep milk, second, that it is grass-fed, and third, that it is organic. – This is a common fermented beverage in Eastern Europe since ancient times. It was traditionally made by fermenting rye or barley, but in more recent years has been created using beets, fruit along with other root vegetables like carrots. Kvass uses lactobacilli probiotics and is known for its blood- and liver-cleansing properties and has a mild sour flavor. – Goat’s milk, sheep’s milk and A2 cows soft cheeses are particularly high in probiotics, including thermophillus, bifudus, bulgaricus and acidophilus. Always buy raw and unpasteurized cheeses if you want to receive any probiotics.